Choosing the best bushcraft axe is more complicated than finding the shiniest-looking blade. Axes differ in size, weight, power, and flexibility, and each type of axe is suitable for different purposes. 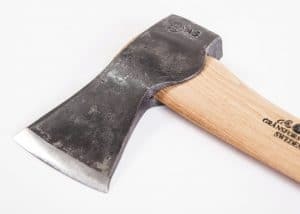 When choosing an axe, it is important to know what tasks you will be using it for, and what characteristics of an axe would be useful for that type of work. For example, someone looking for an axe to whittle and carve wood might opt for a model with a straight edge, the design of which facilitates slow and precise directing of the blade for accurate carving, while someone looking for more power might prefer an axe with a longer handle for increased momentum and control with harder strokes. So, you ask, what is the best axe available in April 2019? The Gränsfors Bruks Small Forest Axe is about 20 inches long, a really handy little axe. Its head is medium-sized, larger than that of a wildlife hatchet and quite a bit larger than that of a mini-axe, but slightly smaller than the Gränsfors Bruks Scandinavian Forest model. If you want something you can put in your backpack, something lightweight that you can easily carry around, I highly recommend the Gränsfors Bruks Small Forest Axe. When you’re looking at axes, you might find yourself wondering, “Why is this axe so much more expensive than the ones I see in the hardware store or from quality American makers?” Besides the fact that this axe is handmade of the best materials, to some extent you’re also paying for the fact that the manufacturer has taken the time to sharpen it and refine the edge. You might not be able to tell from the picture, but this is a very elegantly refined edge. All the hard work has been done. You can buy a good quality but less refined axe, even something fine made in America or Europe, but the edge won’t be as sharp as the Gränsfors Bruks. You can buy one of those lesser axes, then spend three, four hours or more doing your own filing and honing to get it to the point where it’s similar to a Gränsfors Bruks. Many people enjoy doing that. I’m not one of them. I’ve got too many other things to do, so I don’t mind paying the money to get one that’s already primed. This ax is absolutely hair-shaving sharp right out of the box, and it comes with a nice leather sheath as well. There are no excuses needed for this axe. It’s a super high-quality axe that’s absolutely ready to use. This one has the initials “CS” on its handle . All the workers engrave their initials on the axes they craft, so the quality control is first-rate. Nobody wants to put their initials on a badly made axe, so everything that leaves the plant is awesome. Because these axes are handmade, they’re all going to be a little bit different. They aren’t perfectly smooth and polished; they’re not supposed to be. They come from the forge with unique characteristics. All of the handles are made from American hickory, which is the best material for axe handles. They’re put together beautifully, with a special blend of beeswax paraffin used for the handle. The Gränsfors Bruks Small Forest Axe is a great little tool that easily slips into a medium-sized backpack and can be completely concealed if you wish to travel covertly through the woods. Of course, you can always get something smaller, and you can always get something bigger, but if this is your first axe, it’s a great one to have. Many people who buy Gränsfors Bruks axes end up buying more than one, so that they have the perfect tool for each job. This is one of my favorites, one of the ones I always reach for…the Small Forest Axe by Gränsfors Bruks. The Grӓnsfors Bruks “Small Forest Axe” is our choice for the best bushcraft out there. This axe goes for power, with a longer 19-inch handle and a large head. At just 2 pounds, it’s remarkably lightweight for such a powerhouse. Despite its size, this axe still retains the compact qualities of a good bushcraft axe, and is small enough to fit into a rucksack. Simple and sturdy, the Small Forest Axe has an elegantly plain hickory handle with a small lanyard hole at the end. Each handle on a Grӓnsfors Bruks axe is designed using old Swedish traditions by expert Hans Erik Persson, providing an ergonomic, steady, comfortable grip on the axe. Hickory is the perfect wood for the job, as it is flexible and sturdy, with long, parallel fibers. The axe has a 3-1/4-inch face and a vegetable-tanned, grain leather sheath. The extra power of the Small Forest Axe gives it the qualities desired when felling or limbing trees. 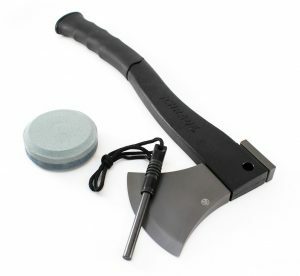 The Grӓnsfors Bruks standard 20-year warranty covers the axe head, but not the handle or the leather sheath. This axe is not the most economic choice, but its quality is certainly worth its price tag. This Council Tool masterpiece is built for the grind and wear-and-tear of heavy axe work. 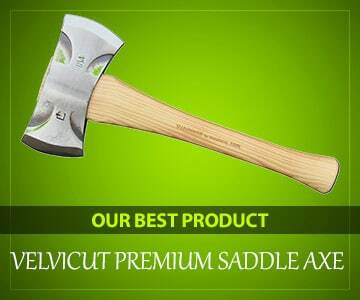 Produced by Council Tool, a trusted tool manufacturer for over 125 years, the Velvicut Premium Saddle Axe is a versatile axe designed to be both multifunctional and easily transportable. This specific design received its name from being traditionally carried on horseback. The axe handle is made of American hickory, the preferred wood for axes, and has a 16-inch “pre-hanging” height and a 15-1/2-inch “post-hanging” height. This premium axe is renowned for its heat-treated and -tempered 5160 steel blade, a strong and sharp metal with long-lasting blade retention. The Council Tool axe has two blades. The left blade has an incredibly sharp 25-degree flat grind, making it perfect for shaving and carving; and the right blade has a blunter 32-degree flat grind, which is more appropriate for heavier jobs such as chopping or splitting wood. In line with its name, this axe is as premium as it gets. Aside from a superior axe blade and beautifully crafted hickory handle, the Velvicut model comes with a fine leather double bit blade cover. Note that this premium quality comes at a premium price. This axe is perfect for those looking to buy a good axe at a low price. While its price tag is one of its main selling points, it’s also a quite effective bushcraft axe. At 15 inches and under 2 pounds, the axe is compact and transportable, as a traditional bushcraft should be. The blade is made from strong 3Cr13 stainless steel and coated with titanium. The black glass fiber-filled PA handle has an ergonomic rubber grip, and the rod has lanyard holes. The axe also comes with a polyester belt sheath. While the Schrade Survival Axe lacks some of the premium features of more expensive axes, such as hickory handles, higher grade steel, and fine, hand-forged craftsmanship, it is still a very good choice. The axe is ideal for starting fires and performing occasional light woodwork and can be held with either one or two hands, depending on the task at hand and the power needed. This stainless steel coated in titanium axe, while susceptible to scratching, retains its sharpness for a long time and can definitely get the job done. 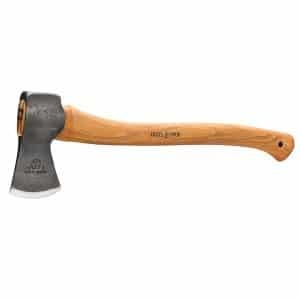 While it may not be the quality of a Grӓnsfors Bruks model, this axe is certainly up to the test and can go a very long way for a reasonable price. 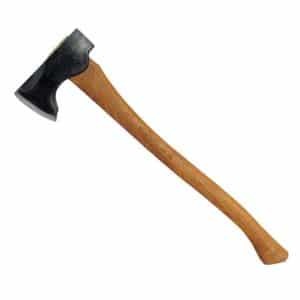 Another Council Tool product, the 2# Wood-Craft model is a very long axe, with a 24-inch handle made of American hickory, which gives it plenty of power. With a sturdy design and ergonomic, comfortable grip, this pack axe has the length, power, and leverage for serious wood cutting. Aside from heavy work, this axe is also capable of many other tasks, making it one of the more multifunctional axes you’ll find, despite its size. This premium axe can chop, split, carve, shave, hew, hammer, and even start fires. This axe’s multifunctioning characteristics make it our choice for the best outdoors axe. Extremely sharp and forged from quality 5160 steel, this axe is always up to the challenge. It is accompanied by a high-quality leather mask to protect the head from the elements and its user from the extremely sharp edge. The axe is a little pricey, but not outrageously so for such a capable tool. Nothing says powerful like an Aneby hatchet. 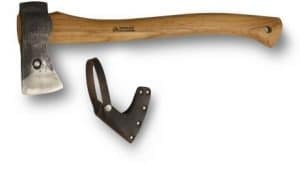 Built by Sweden’s Hults Bruk, axe manufacturers since 1697, the Aneby model is a long axe, with a 20-inch handle, and weighs 2.75 pounds, making it suitable for forest work, chopping and cutting lumber. Despite its size, the axe is carefully designed to give its user maximum leverage, allowing it to be used for animal skinning and other more delicate tasks. The axe head is hand-forged using Swedish steel. Built for durability, the axe head is struck multiple times during the hand-grinding production process, increasing the density and making the end product extremely durable. The tempered zone of the axe facilitates maximum blade retention. This handle, like those of the previously listed axes, is made from the premium axe wood, American hickory. The curved handles have been treated with linseed oil. The axe comes with a premium leather sheath. One look at this model, and it’s obvious it was made to last. For axe users who often find themselves doing heavy work in difficult conditions, this axe is more than suitable for the job. Additionally, the Hults Bruk team promises that this axe has the potential to last a lifetime, and they provide a warranty on faulty parts. The Aneby model is not the cheapest bushcraft axe you will find, but is fairly priced for the quality it offers. Wetterlings is a trusted Swedish axe manufacturer that has been growing and adapting for well over 100 years. When you buy one of their axes, you are not only purchasing a quality product, but also a rich tradition and historical design passed down by expert axe welders. Their Outdoor Axe is a lightweight but long axe that can be used with either one or two hands. This allows it to be used for more difficult jobs such as felling trees, as well as more intricate jobs such as whittling or carving, with equal efficiency. 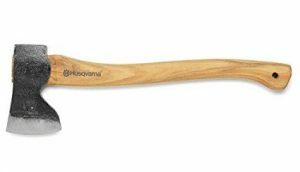 This model, with its ergonomic hickory handle, is particularly effective for bringing down large trees. The Outdoor Axe is 19-1/4 inches long, fairly long but not unwieldy. A total weight of under 2.5 pounds makes it fairly lightweight for its size, which allows for more comfortable use. The axe is small enough to fit in a large backpack, or it can be worn on a belt. Wetterlings describes the axe as “recommended when living a traditional life in the forest, where forest, wood, axe, and fire are intertwined.” This accurately describes the axe’s versatility. In terms of blade hardness, the use of HRC57 steel ensures that this axe will have excellent blade retention and maximum hardness for easy chopping and cutting. The Outdoor Axe is very decently priced for such a quality axe. This Hunter’s Axe is, as its name implies, designed for use by hunters. Sturdy, strong, and powerful, this Swedish-made axe is ideal for hunting, skinning, and the light forest work that is often needed with hunting. This powerful piece has a rounded neck, is hand-forged, and is made using traditional Swedish methods with quality Swedish steel. While this axe was designed specifically for hunters, it has many other functions, including tree cutting, carving, and whittling, which is facilitated by the axe’s rounded neck. The axe’s ergonomically designed hickory shaft is a little under 20 inches long, and the tool weighs just 2 pounds, giving it the heft needed for hunter’s tasks while offering its user the comfort necessary for long periods of use. The blade’s clear-tempered zone allows it to be sharpened continuously without the edge losing strength. Instead of a sheath, this axe comes with a somewhat lesser leather edge protector. A quality that many find appealing about this axe is that it is hand-forged in the traditional methods Hultafors has been using for hundreds of years. This specific, intricate forging process makes each axe slightly different, a feature many find gives the piece a more personal touch. This axe is not only effective, but also affordable for those on a budget. Unlike many bushcraft axes, the Snow & Nealley brand is pure American, and with American goods always comes the American spirit. This handcrafted axe, produced by the Amish, is known for its expert craftsmanship. The axe was originally designed for trappers, hunters, and fishermen. We chose it as the best model for camping because, in addition to being perfect for catching all types of game, this axe is also ideal for wood cutting, carving, lighting campfires, and many other requirements of camping life. All campers need a good axe, and the Hudson Bay Axe is the perfect companion. Americans like things big, and this axe does not fail to adhere to the American standard. At a lengthy 23 inches and 2.5 pounds, this axe is sturdy and powerful, but its smaller 1-3/4-inch head allows for its use in even the most intricate of tasks. The long handle is made from hickory, and the axe comes with a genuine leather blade guard, as opposed to a sheath. Particularly appealing about the Hudson Bay Axe is the manufacturer’s lifetime warranty, which ensures you don’t need to constantly worry about your axe breaking. This axe is also quite inexpensive. The long, 26-inch length of this Husqvarna multipurpose model and its 3-pound weight provides this axe all the power necessary for the most difficult tree cutting tasks, from tree felling to wood chopping. While its size sacrifices the traditional compactness of a bushcraft axe, users will find that once they get over the axe’s size, it is a very efficient, powerful axe. As is necessary for axes built for heavy impact, the heat-tempered steel blade is attached to the axe handle using both wooden and steel wedges to ensure a secure fastening and the blade staying in place even under the most strenuous circumstances. The long handle is made using premium hickory and is designed for maximum comfort. The axe comes with a leather edge cover. This Husqvarna model is not very expensive, adding cost-effectiveness to the characteristics of this fine piece. This Husqvarna bushcraft model, unlike its 26-inch counterpart above, is designed for precision and control over size and brute power. It is 19 inches long and weighs almost 3 pounds—which is rather heavy—and is ideal for carpenters and others who perform intricate woodworking. The axe is designed with a long, straight cutting edge, and its very thin blade allows for stability and control while cutting. This is not an axe for those who need brute strength, as the blade is very thin. A recess in the head allows for the hand to come very close to the head for maximum control of the blade. The ergonomic hickory handle is designed for very specific and careful use. Due to its clean, easy to control design, this axe is best suited for carpentry and similar jobs, rather than for camping or hunting. Nevertheless, the axe is still sturdy and strong, should the need arise for heavier use. 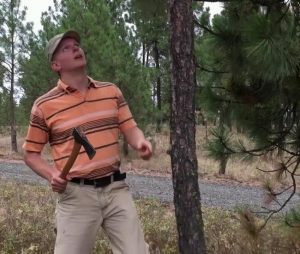 A sturdy and effective bushcraft axe is a must-have for anyone who works with lumber or is involved in other forms of woodworking. The right axe can mean the difference between a job well done and a less than impressive result when it comes to chopping wood. Choosing the best bushcraft axe, therefore, is very important. The best bushcraft axes are built to be both powerful and flexible. Highly versatile, these axes are small enough to be wielded with one hand and carried in a backpack, but are sturdy enough for more heavyweight, two-handed jobs. In addition to being versatile, bushcraft hatchets are easier to handle than larger axes, and accordingly, easier to learn to use. When searching for the right bushcraft axe, it is very important to take into consideration how you plan to use your axe. 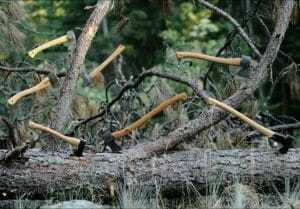 A person looking to knock down trees twice a week will certainly need something different than someone who mainly uses his/her axe for light camping trips every month, or has a whittling hobby. With the products described above, I hope I was able to explain to some extent the different qualities of these axes, and what to look for. Swedish-made axes are often made extremely well, as Swedish steel is very strong. Hickory is the most popular and preferable material for an axe handle, as it is strong but flexible, and often very comfortable to grip. Just to reiterate, it is crucial to understand what a bushcraft is (explained above), and whether it fits your needs. Furthermore, some of the axes described above differ from the characteristics of a traditional bushcraft axe. Those looking for stronger, more powerful axes might have to compromise on versatility and compactness, as with the Hults Bruk Aneby Hatchet, while those looking for more intricate woodworking capability may have to sacrifice some power, as with the Husqvarna Carpenter’s Axe. As with most purchases, it’s very important to be familiar with the different brands. Old, established brands such as Wetterlings and Grӓnsfors Bruks are renowned for their craftsmanship and the high quality of their pieces, so one can expect superior quality when buying an axe from them. 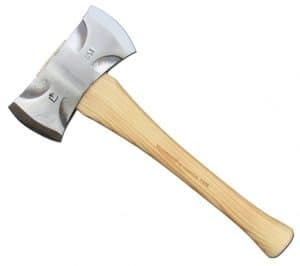 Personally, of the ten axes I described, the one I find most appealing is the Council Tool Premium Saddle Axe, with the Grӓnsfors Bruks Small Forest Axe a close second. To me, the Council Tool is the most useful axe, as it has two sides (or angles), is built to last, and can be used to do just about anything. The Grӓnsfors Bruks model is just too beautiful to pass up, especially when considering the intricacy of any Grӓnsfors Bruks design and the preciseness, care, and effort that goes into each model to produce an elegant, yet powerful, multipurpose axe that will get you through just about anything. If you trust the manufacturer and have a good sense of what you need from your axe, this guide should set you up for the perfect axe pairing. Good luck in your axe-related pursuits! Great post\Nice post, I enjoyed it very much.I was very lucky to discover your website. It’s got a lot of helpful information! Thanks for every one of your hard work on this web site. My aunt takes pleasure in engaging in investigation and it’s really easy to understand why. All of us learn all about the compelling means you convey efficient guidelines via the blog and foster contribution from other individuals about this article then my girl has always been understanding a lot. Take pleasure in the rest of the new year. You’re carrying out a remarkable job. I agree with all of your choices here as all as great axes. I do believe that you have left out one excellent choice as well. 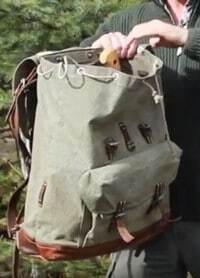 My hunting, camping, bushcraft and best friend and I bought these about 3 years ago and have used them for many different tasks. The ones we bought would shave the hair off your arm out of the box. The chop limbs and small trees well, great for splitting small stuff for kindling, do an excellent job of making feather sticks and various other tasks. Not the best for splitting larger wood though. These are excellent to assist with skinning larger game due to the large curved cutting edge. Edge retention has been excellent and are easy to put a razor edge back on them. The leather sheath is decent quality with a loop for belt carry and so far has held up well. I like mine so well it goes just about everywhere outdoors with me along with my antique Collins Scout style hatchet and antique Plumb boys axe. If you haven’t tried one of these I would suggest you give one try. Great post\Nice post, i like it a lot.I was really lucky to discover your website. Wonderful work! This is the kind off information that are supposed to bee shared across the net. I loｖe your bloɡ.. very nice colors & theme. Did yߋu create this website yourself or did you hire someone to do it for you? You are so cool! I do not think I have read something like that before. So good to find somebody with some original thoughts on this subject matter. Seriously.. thanks for starting this up. This website is one thing that’s needed on the internet, someone with some originality! get in fact enjoyeԀ account your blog posts. The Council Tool Woodcraft Pack Axe is by far the best axe on this list. Slightly expensive? As compared to what? Compared to the Gransfors that is $50 more (if you can even find one for sale)? Compared to a plastic pile of trash that is useless if you damage the handle or head retention at all (which is absolutely guaranteed)? Anyway, enough of the bashing opinions. The Pack Axe is one fine tool. Built to last my lifetime, and probably my son’s lifetime (he is 16). The craftsmanship, quality, durability and price are excellent. I have owned, used, and often abused just about every brand that people praise and are considered “the best”. Well folks, this one is the best! No question. Adding the links to Amazon really help me out. I am horrible at finding products online after reading reviews on a website. I guess maybe the products I’ve been looking at are all discontinued maybe. Anyways, I am an ax enthusiast and your first pick looks like an old ax I used to love. I will definitely be purchasing. 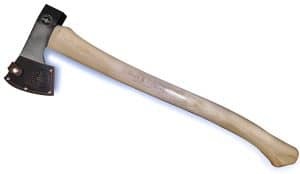 Oh man, I asked my wife what her father would want for Christmas and she said to just get him a nice ax. Firstly, I don’t know the first thing about axes. Secondly, who just wants an ax for Christmas? I wasn’t even aware he chopped anything up. Anyways, can you help me pick out the best one? I’m not going to be skimping on anything. And you’re a little late for Christmas. I had no idea there were so many different brands and kinds of axes with different features. I am very overwhelmed in my decision now. The videos help though. Really talk you through all the good and bad features. Foｒ newest information you have to visit world wide web and on ᴡеb I found this website as а most excellent web page for lateѕt updates.